Here are the 4 lucky winners of $5. 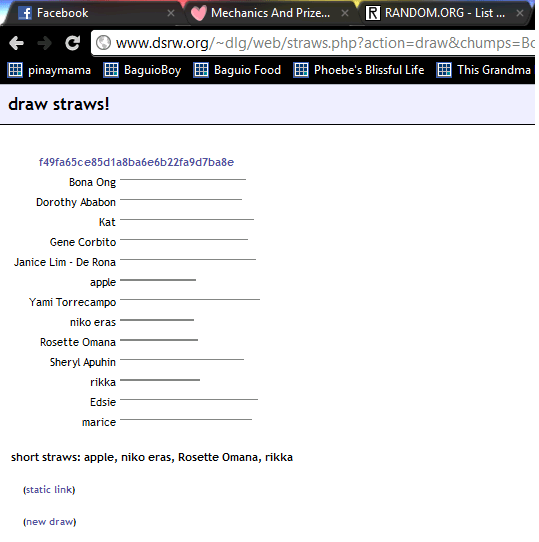 I used David Goodrich’s draw straws application, which uses numbers from RANDOM.ORG. Congratulations! Please send me the details where to send the money. Thank you very much! yey! I am one of the 4!!!! congratulations to the winners! Crossing my fingers for the big win.